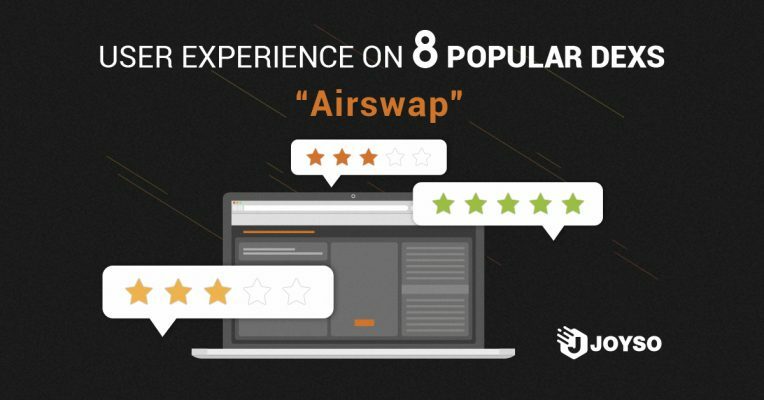 In addition to place-an-order and accept-quotation kinds of exchanges mentioned before, AirSwap is considered the third type, where trade is conducted over-the-counter (OTC). Over-the-counter trading means that the user has to find a counterparty to trade with. 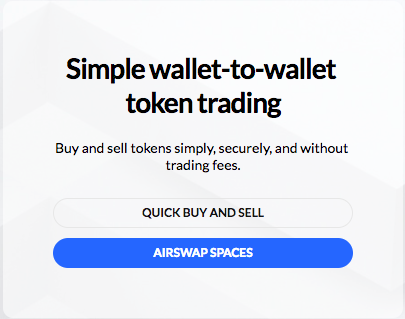 AirSwap merely serves as a platform for users to post their trading intentions, finding counterparties, and complete secure transactions through its contract and mechanism. 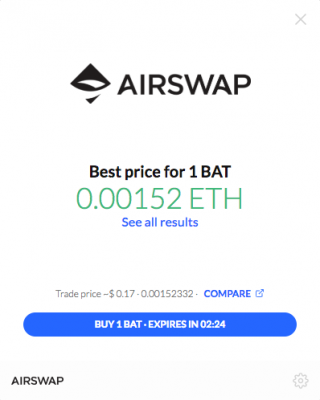 There are two trading modes on Airswap, including “Quick Buy and Sell” and “AirSwap Spaces”. Below I will introduce the functions one by one. This is the main OTC trading platform. For first timer, you have to send a transaction with registration Key on chain, then you can enter AirSwap Spaces. On the interface there are several sections, one of them is like a chat room. After choosing the token you want to trade, you can view others’ buy/sell intent or post an intent yourself. Many first timers would click the buy/sell button on the upper-right corner to post an intent themselves, but you have to click “Post your intent to trade” instead. 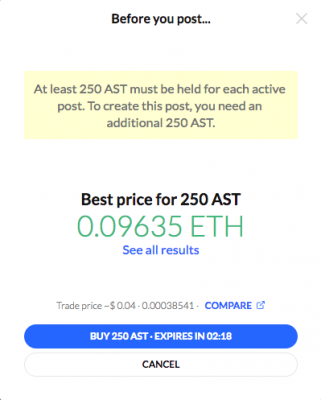 Before posting, you all be asked to hold at least 250 AST to have the right of creating new post. 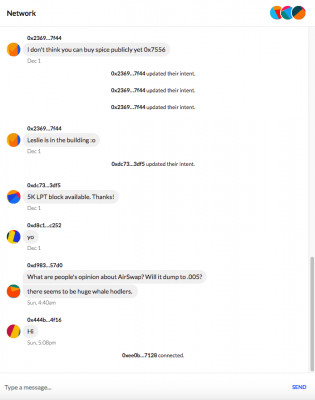 Clicking any buy/sell intent will make you be sent to a chat room with the person posted it. If both parties are online, you can discuss the price freely. When I tested the exchange, the person who posted intent wasn’t online, only after a month had him replied me. 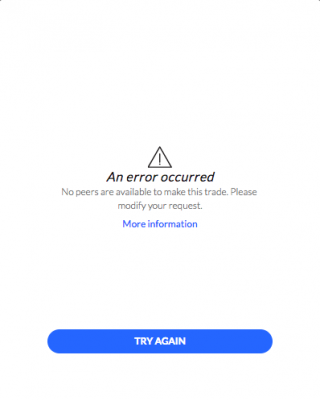 Seems like AirSwap doesn’t have a mobile App version, so you might have to remain on the exchange constantly to receive the notice, then can you proceed with trading successfully. Anyone in the chat room can click “SEND ORDER” on the lower-left corner to key in relevant data, creating an order for another. If the other agrees, trade will be settled and published on chain. Additionally, trading pair can be set freely. 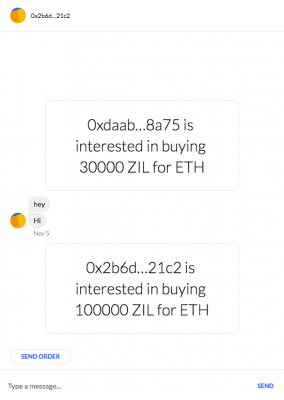 On Quick Buy and Sell you can choose the token you want to trade. For example, here I wanted to buy 1 BAT. After keying in the amount of BAT, the system will pop a quotation similar to Bancor and Kyber Network. In this case, I tried increasing the amount to see if the price would worsen like on Bancor and Kyber Network. As shown below, the price had not changed even if I keyed in 1,000 BAT instead. Maybe the amount was not large enough? Try keying in 10,000 BAT, and the system didn’t give a quotation. 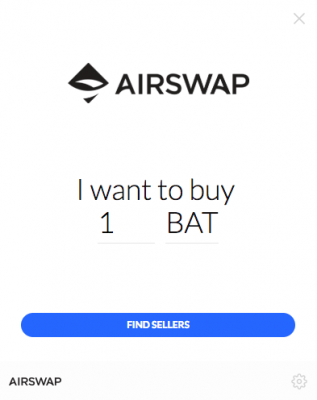 Although at first glance I thought AirSwap was the same as Bancor and Kyber Network, it turned out that it worked differently. 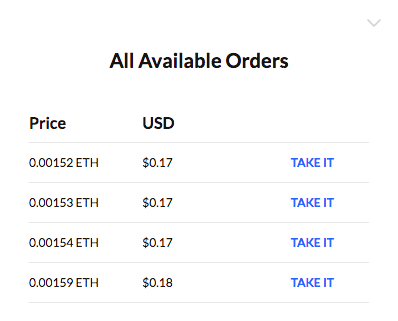 On AirSwap, when you enter the amount of token you want to buy/sell, the platform becomes your agent and negotiate the price for you. You can even click “See all results” to check more available orders. It may be that there are several partners behind AirSwap. Since the mechanism behind AirSwap is to generate orders for trading, there will be no problems with price difference like on Bancor and Kyber Network. The price given by the exchange is the final price. In addition, when you attempt to trade, you will find a time limit for quotations. 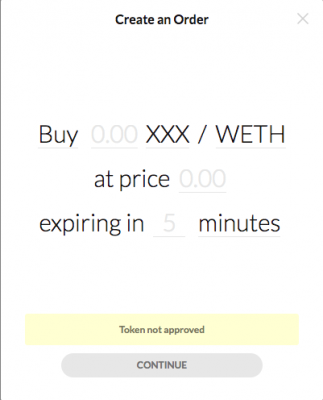 On AirSwap, the time limit is 3 minutes. So you have to set gas price bit higher than average, or trade will fail due to slow block confirmation. From my personal experience, I find using AirSwap Spaces to search for counterparty difficult. Since both sides have to be online to process any trades. Whereas using Quick Buy and Sell is relatively easy. 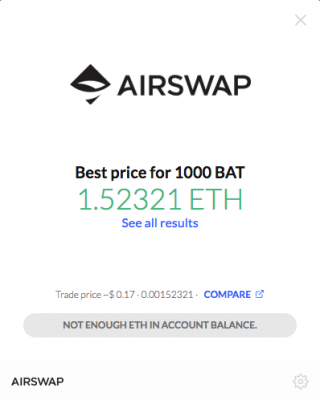 Compared to Bancor and Kyber Network, the fixed price on AirSwap is quite an advantage. However, the fact that the system is unable to trade large amount at the same time, it’s better for small trading amount . Different trading modes have different pros and cons, which I list separately below.